Twyla Felty (left) at the 2018 TCEA Convention. TCEA members are many things. They’re resourceful, innovative, and creative, to name just a few. And today we want to shine the spotlight on one of our members who exemplifies all of these and more. Twyla Felty is a Technology Instructional Specialist for Eustace Middle School. She’s also an advocate for STEAM learning and a great source of advice on technology implementation and supporting educators. In this interview, she shares her recommendations, her go-to resources, and the cool project she’s most excited about. Twyla has worn many hats in her 18 years with Eustace ISD. She has taught everything from kindergarten to fifth grade science and math to middle school. But her career took a tech turn in 2008. She was working on a master’s degree and planning to take the leap into administration when she attended an ISTE conference in San Antonio. Scaffold for teachers as you would for students. They are just little learners in bigger bodies. Be patient! Technology changes quickly, but schools do not. However, small changes will add up over time. You won’t win over everyone, so work with those who are willing. Find joy in each day and keep alive the “teacher” part of your heart. It is, after all, why we got into this business of education in the first place. To sum up: Twyla is an ed tech dynamo, and we’re so glad to have her involvement and continued support in TCEA. To learn about other innovative educators transforming education, you can read some of our previous member spotlight posts here, here, and here. Do you know a TCEA member who needs to be in the spotlight? You can always email me your suggestions at [email protected]rg. TCEA has the privilege of knowing some pretty fantastic educators. Every month, we like to share a story about what one of our incredible members is up to. This time, we’re focusing on a technology director with big ideas: Mark Simmons. Read on to learn a little bit about Mark’s history, what makes him tick, and a big project he has in the works. These days, in addition to being a tech director, Mark teaches two classes on Cisco and Microsoft certification. 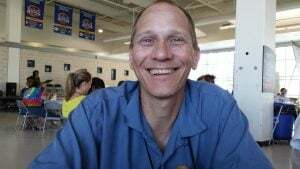 When he isn’t working directly with his students, he is fielding requests from teachers, tackling paperwork, researching new technologies, or helping create technology-driven lessons. You can read more about Mark’s big idea here. And if you’re interested in being one of the schools to join in this exciting project, you can apply here. We hope you enjoyed this look into the professional life of one of our wonderful members. To learn about other innovative educators transforming education, you can read some of our previous member spotlight posts here, here, and here. Do you know a TCEA member who needs to be in the spotlight? You can always email me your suggestions at [email protected]. At TCEA, we can’t help but be excited about our incredible members and all the ways they are advancing teaching and learning with technology. Each month, we like to shine the spotlight on one member to share what drives and inspires him or her. We hope our readers can find value in their stories. You might just discover an idea or two to use in your own education journey. 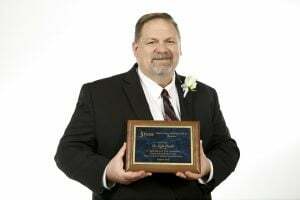 Today’s member spotlight focuses on an esteemed tech director and longtime friend and supporter of TCEA: Lee Sleeper. In addition to being the current Director of Operations and Technology for Bullard ISD—a 4A district with 2,600 students to support—Lee is also the head of the tech crew every year at the TCEA Convention & Exposition. This means he’s volunteered hundreds of hours to making sure our annual event runs smoothly for the thousands of educators who attend. And he is a past president of TCEA! No Rest for the Busy! In his position at Bullard ISD, Lee has administrative oversight of transportation, maintenance, custodial, food service, and technology—all of which keeps his day full. He describes: “An average day begins about 5 a.m. with a drive through district facilities to make sure we do not have any major problems. I try to walk each of our six campuses at least once a week. My first staff meeting with my operations’ coordinator is at 6:30 a.m. to look at ‘opportunities’ facing us for the day. I meet with my technology coordinator about 7:45 a.m. to go over the day. The day usually comes to an end about 4:30 p.m. by monitoring the two-way radio to ensure our afternoon bus routes finish without complications. 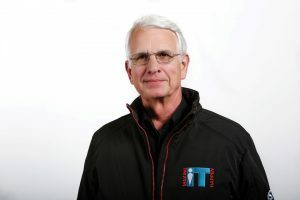 Board meeting nights and committee meeting nights can take the day to 9 p.m.” Luckily, Lee enjoys what he does and particularly the variety each day brings. He describes it as his dream job because he knows he will never be bored or lack for things to do! It’s a great philosophy to lead by and one that shows exactly why Lee Sleeper has been such an asset to Bullard ISD (not to mention to the TCEA Tech Crew!) for so long. We hope you enjoyed this peek into the life’s work of one of our members. To learn about other innovative educators transforming education, you can read some of our previous member spotlight posts here, here, and here. Do you know a TCEA member who deserves a little spotlighting? Email me your suggestions at [email protected]. At TCEA, our incredible members are what drive our organization. While we support educators on their journeys to advancing teaching and learning with technology, they are the ones out in the field truly transforming the future. Each month, we like to recognize one of our members and shine a spotlight on the exciting things they’re doing to revolutionize education. We hope our readers can gain some good ideas, tips, and strategies from reading these success stories. 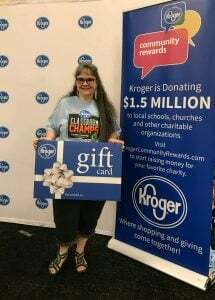 Angel Herring winning the Kroger Classroom Champ Award in 2017. Today’s member spotlight focuses on an ESL kindergarten teacher in her 12th year of teaching: Angel Herring. 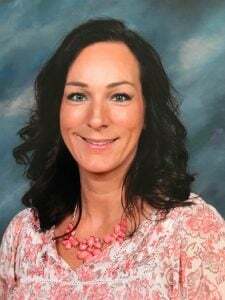 In addition to being a well-respected TCEA member, she’s also a board member of Kindergarten Teachers of Texas and member of the teacher organization Delta Kappa Gamma. Angel is also no stranger to being recognized for her fantastic work. 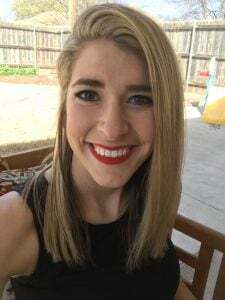 In the last two years alone, she’s won the Kroger Classroom Champ Award, GPISD’s Excellence Educator Award, Kindergarten Smorgasboard’s Golden Apple Award, and the Technology Eagle Award. Read on to learn more about Angel and how she engages her young learners with technology. Angel was also able to secure a grant from the Kindergarten Teachers of Texas to get Bee-Bots for her classroom. These easy-to-use, friendly robots are perfect for little learners just dipping their toes into robotics. 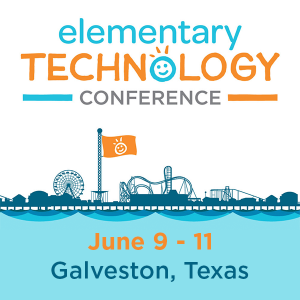 Angel recommends TCEA’s Elementary Technology Conference (formerly Tots and Technology), which she has attended for the last four years, as a great place to discover new technology and best practices for the elementary classroom. “It has a wealth of resources and great presenters,” she explains. She also is continuing her career focus on technology by participating in TCEA’s Campus Technology Specialist Certification . One of the tech tools she most recommends for other teachers is Bee-Bots, and she encourages teachers to find creative ways to incorporate them into their lessons. Her favorite apps are Doodle Buddy, which lets students fingerpaint without the mess, and Kahoot, which makes learning fun with cool quizzes and games. Want more of Angel’s best tech tips? She recently started a blog called Technology Tips for Teachers and runs a Facebook page Technology Tips for Techie Teachers in Elementary, where you can find great resources and ideas. To learn about other innovative educators transforming education, you can read some of our previous member spotlight posts here, here, and here. Do you know a TCEA member who deserves a little spotlighting? Email me your suggestions at [email protected] . At TCEA, we have the incredible privilege of supporting our members and helping them to advance teaching and learning through technology. We try to share the innovative work that our members are doing so that our other readers and followers can be inspired and learn some tips and tricks from educators in the field. Today, we’re spotlighting a seasoned educator in her 25th year of of teaching and technology service. 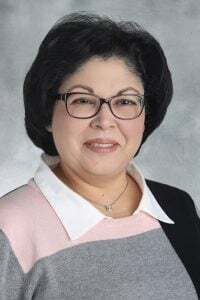 Patricia Startz is currently the Technology Director at Falls City ISD, south of San Antonio. Her long and impressive career began with earning her bachelor’s in Mathematics and Computer Science, along with a teaching certification, from Southwest Texas State University (now known as Texas State University). She started a job at Falls City the very next Monday after graduating and never looked back! In her time there, she also managed to get a master’s degree from Lamar University in Educational Technology Leadership and Administration in 2012. Patricia is always on the lookout for what can go wrong and how to best address problems before they start. “Our new campus has been online since early August last year. The transition went smoothly, most of the year has been smooth, but, there are always ‘hiccups’ that keep me on my toes.” She starts each day addressing any emergency needs that have cropped up. If everything is running smoothly, she starts on her own list, including hardware and software repairs on laptops, network maintenance, security camera maintenance, Google administration, online testing, campus plans, and more. Luckily, Patricia is up to the challenge of ever-changing priorities and the need to be always alert to the next big thing. When asked what she likes most about her job, she cites the variety and changing schedule from day to day. “Each day provides an opportunity for sharing and learning.” She is excited about the challenge of integrating the 80 new Chromebooks that her district recently acquired. Like all technology roll-outs, it hasn’t been without its adjustment period. But Patricia was excited to celebrate when the computers were all up and running. 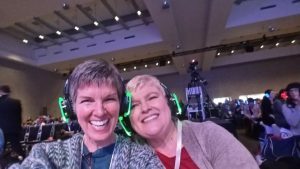 Patricia and her staff have used a number of TCEA training opportunities in the past to help them stay current and keep learning new strategies for technology advancement. She attends the System Administrator and Technical Support Conference in October and the TCEA Convention & Exposition in February. She is also involved in TEC-SIG, the special interest group just for technology directors and technology coordinators. For additional training, Patricia had TCEA professional development staff come right to Falls City before a big technology roll-out. “We have had TCEA staff come to our district to provide Google tools and Google Classroom training in preparation so that administrators and teachers were ready for the transition.” For more information about onsite training, please see here. Technology changes rapidly. To keep up, you have to take the initiative to constantly train up, whether or not it is required and whether or not your employer pays for it. Take advantage of as many of the freely-available training resources as you can. Then, be seen and heard! Skills and knowledge are most beneficial to you and the staff you serve when shared. Somehow… try to get home by 5:00 p.m. and on weekends so you do not miss your family’s important moments. You cannot get those moments back. Try to make and keep a balance. We at TCEA are so happy to have Patricia Startz as one of our committed members! To learn about other innovative educators transforming education, you can read some of our previous member spotlight posts here, here, and here. Do you know a TCEA member who deserves a little spotlighting? Email me at [email protected] to suggest a member we should brag about.